I really like using this gospel tract because picture really says it all. Most people already know or have visited a cemetery and I know some will be curious to read it and when they do they have been warned. Excellent work I say. 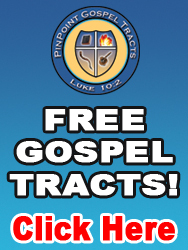 May the Lord use every gospel tracts to reach the lost. Glory to God ! 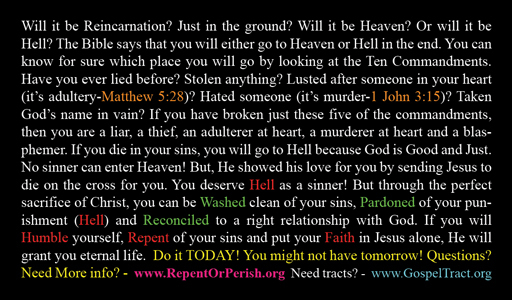 These are very great tracts to hand out to people. You guys do a great job on the design of these tracts, they are great attention grabbers. Came as promised. Very fast shipping and great customer service!! Really liked the quality and the message and price of this tract. The only thing that would make it better is to have round courners. It's hard to believe most people go through the motions of their day and never think at all where they will end up after death. Even children I ask, their answers are horrifying. Like they think they will just "turn into a ghost". Hope i will plant a seed and help people treat each day as if it could be their last.